You can find dumpsters just about anywhere and you never know what you might find. While you can certainly dig through dumpsters and trash bins anywhere, there are a few spots where quality finds are often more consistent. 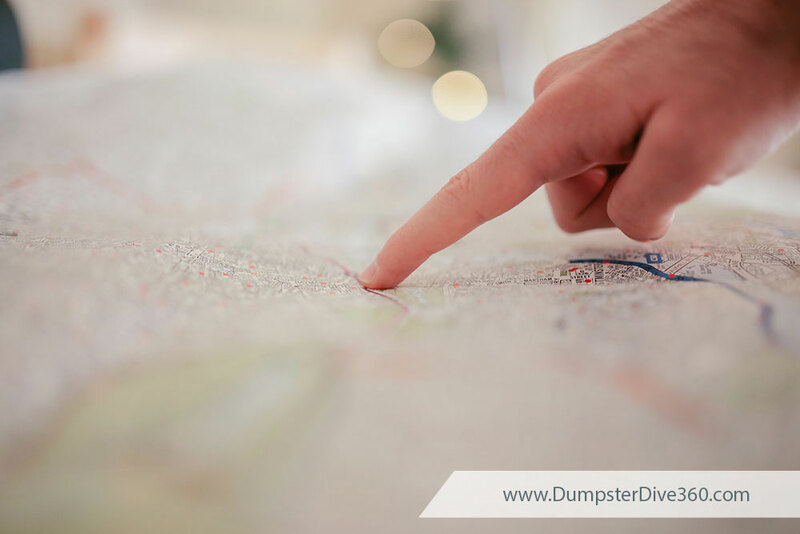 Here are eight hot spots you should consider the next time you head out to go dumpster diving. You can find a lot of quality stuff in construction site dumpsters. From excess paint and bricks to wood scraps and old cabinets, construction finds are great for anyone who loves a good projects but wants to save on materials. If the site is a remodeling job, you may even find larger items like furniture or kitchen cabinets. These items may be in perfectly good condition and the property owner is simply updating the interior. Whatever their reason is for throwing it out, it’s a great find for you. Estimates show 30 to 40 percent of food in the United Stated ends up in a dumpster. Food waste is a serious problem on many levels, but it does bring a bit of good news to dumpster divers like you! Odds are you live near a food store that is contributing to the problem. This translates to a full dumpster, ripe for the picking. You should always exercise good judgment and caution when rescuing food from a dumpster. Take care to not consumer any contaminated or spoiled food. We especially recommend steering clear of raw meets. Bonus Tip: Bakeries. Freshly bakes bread, pastries, cookies and cakes are baked fresh daily. Since bakeries are expected to sell fresh goods, unsold items are typically tossed out every night after closing. Croissants anyone? Many retail stores have adopted flexible return policies. From allowing returns with no receipt to allowing an entire year to return your purchase, it has never been easier to return unwanted items. So, what happens to all of those returns? If it can’t go back on the shelves, it may end up with a one way ticket to the dumpster. If the packaging has been damaged, the store may decide it can;t be resold. It often isn’t cost effect to ship items back to the manufacturer. This leads to a dumpster full of goodies. Bonus Tip: Electronics stores are the place to be! From demo models to scratched office furniture to small items with damaged packaging (think headphones, charging cables and DVDs), stores like Best Buy, Office Depot and staples carry a wide variety of product, many of which make great dumpster finds. Dorms are very small spaces with little room for storage. Over the course of the year, countless items are thrown out simply because there is no more space. While this leads to some good finds, the best ones will show up at the end of the semester when hundreds or thousands of students are moving out. For more detailed tips for dumpster diving on college campuses, check out Go to College for Dumpster Diving. From new clothes to updating housewares, people throw perfectly good stuff in the trash every day. It is highly unpredictable, but digging through residential trash bins that have been placed on the curbside can pay off big. Residents in affluent neighborhoods are the most likely to redecorate often and throw quality items on the curb. This is especially true in the spring when people are prone to do some spring cleaning. All you have to do it determine when trash day is and show up before the garbage man does. Like residential curbside cans, apartment complex dumpster contain a large variety of treasures. What makes them even better is they can be a little more predictable. While you may score some good finds on any given day, we recommend the first week of the month. With most complexes requiring rent do at the first of the month, the week that follows is a natural transition time. Tenants will often terminate their lease on the first of the month, which means move out day. Whatever doesn’t make the trip in the truck, makes a trip to the dumpster instead. Bonus Tip: Exercise extra caution when dumpster diving in apartment complexes. Many complexes will use compactors instead of or in addition to traditional dumpsters. Never dumpster dive in a trash compactor. Before going on the hunt, be certain you are dealing with a dumpster, not a compactor. Like bakeries, florist rely on fresh products. No one walks into a florist hoping to buy a bouquet of day old flowers. Leftover flowers quickly make their way to the trash. They probably won’t last a week like a fresh bouquet would, but with a quick trip and a clean vase, they will look likely in your home. While many swap meet vendors return week to week, there are often a handful of one time vendors. At the end of the swap, the may not feel like carting everything away with them. After they leave, check the swap meet dumpsters to see what might not have made the cut. Always do your homework. Understand local laws and posted signs before diving in to any dumpster. 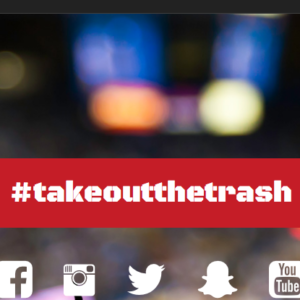 Check back at DumpsterDive360.com to share your favorite hot spots and for more dumpster diving tips.